Weddings, Birthdays, Corporate Events, Anniversaries…. Southern Drawl does it all! Let our event venue help create your most memorable event on the beautiful waterways surrounding Charleston, SC. We can comfortably accommodate up to 50 people. 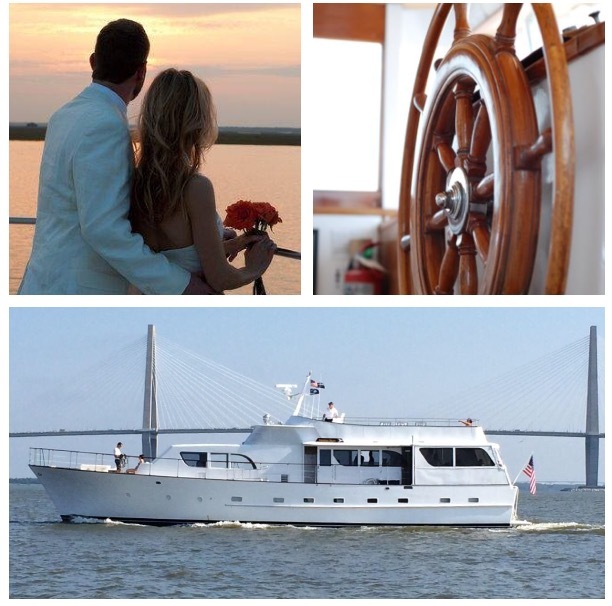 Your ride on Southern Drawl will leave from the marina-> under the Arthur Ravenel Jr. Bridge-> riverfront-> The Battery-> downtown-> James Island-> aircraft carrier-> back to the marina or we can create a custom route just for you. 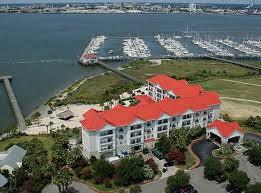 We are docked at the fabulous Charleston Harbor Resort and Marina on beautiful Charleston Harbor. We suggest you book your rooms here and we will be in your “back yard” when you arrive- and you just have to walk down the dock to your yachting adventure. We can also assist with catering, photographers, bar tending, florists, etc. Our coordinators can organize all of these services for you.